There are many circumstances under which a person may need to seek private legal representation. Chicago law firms specialize in a number of different practice areas. Whether they are small or large and regardless of the services they offer, there are some guidelines that apply in all legal circumstances. Here are some things to consider if you are planning on retaining an attorney. • Partners are practicing attorneys who own the business as a whole and divide the profits after paying their salaried employees. • Associates are practicing attorneys who work for a fixed salary. • Transactional lawyers review paperwork and maintain records. Their job is to ensure no documentation you sign exposes you to the threat of future litigation. Transactional lawyers do not appear in court. • Litigation lawyers argue on behalf of their clients in the courtroom. In criminal cases, the police or a government agency press charges against someone for an offense that is punishable with a fine, jail time or capital punishment. Because of the severity of these consequences, if you are charged with a criminal offense, you are entitled to legal representation even if you cannot pay for it. Nearly all Chicago law firms devote some of their resources to providing this kind of pro bono legal aid. When you are charged with an offense, your first courtroom appearance will come during an arraignment hearing. During this procedure, the prosecution will formally present the charges against you. If a plea bargain is offered in exchange for a plea of “guilty” or “no contest,” your attorney will advise you whether it is in your best interest to accept this. Throughout the pretrial process, attorneys representing both sides are required to regularly exchange evidence they plan on presenting in court. Chicago law firms may discover that some of this evidence has been improperly obtained or that there is not a strong enough case to reasonably expect a jury to convict. Either of these can be grounds to dismiss a case. 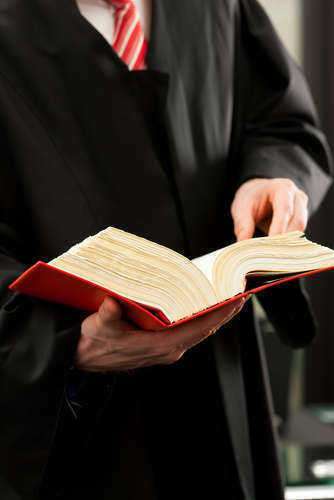 During a trial, an attorney will present the strongest possible case in your defence. If you are convicted, a lawyer will be present during your sentencing hearing to argue for a penalty less severe than requested by the prosecution. Most civil litigation is resolved before going to court. Chicago law firms representing both sides will negotiate throughout the pretrial process in the hope of negotiating a mutually acceptable settlement agreement. If you are determined to get your day in court, you should make this clear during any initial consultation you schedule. • What do you hope to achieve through the legal system? • How much can you afford to pay for a lawyer’s services? • How much time and attention can you devote to the legal process? • What kind of specialized area of the law do you need help with? After deciding what you want and what your budget is for an attorney, ask friends, family and co-workers if they can recommend any Chicago law firms they have successfully worked with. The Chicago Bar Association can also provide a referral to a qualified specialist. Prior to scheduling an initial consultation with any Chicago law firm attorney, look up their disciplinary record and make sure they have not been cited for any ethical violations. It may be necessary to conduct several meetings before you find a lawyer you feel comfortable hiring to represent your best interests. Arrive prepared for meetings at all Chicago law firms with all documentation that may have a bearing on your case. After examining these papers, an attorney may have many questions. Answer in as much detail as possible and do not conceal information you fear may be detrimental to a successful outcome. • What is your level of experience in my kind of case? • If you are not qualified to handle my case, can you refer me to other Chicago law firms with more specialized experience? • How long will my case take to resolve? • If I need to get in touch with you, who should I contact? • How often will I be updated about progress made on my behalf? 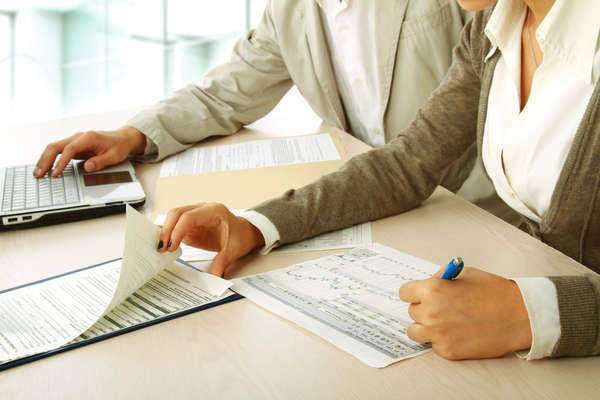 During your first meeting with attorneys at any Chicago law firms, it is important to request a detailed, written estimation of all expenses you can expect to incur throughout the legal process. An attorney must clearly explain any charges you do not understand. If you are filing civil litigation and it is reasonable to expect you will be awarded some form of financial compensation, some Chicago law firms may agree to represent you for free in return for a percentage of your settlement.